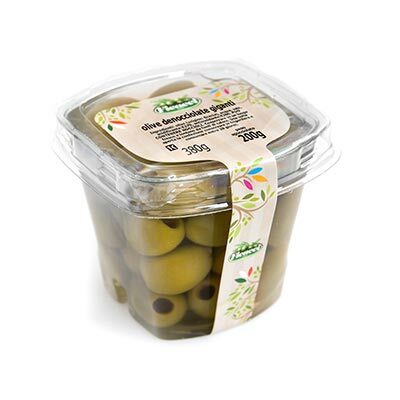 ...Pitted Olives, ideal for stuffings and marinades. Green and Black pitted olives. 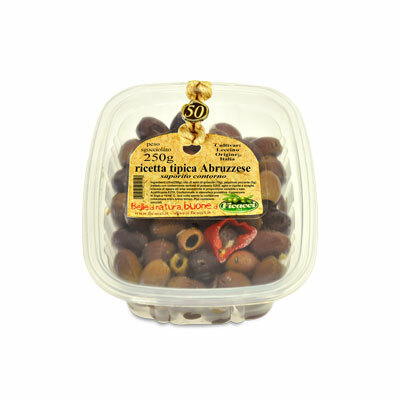 ...For their ease of use, both green and black pitted olives are extremely loved by consumers, representing a unique and valuable ingredient for cooking. 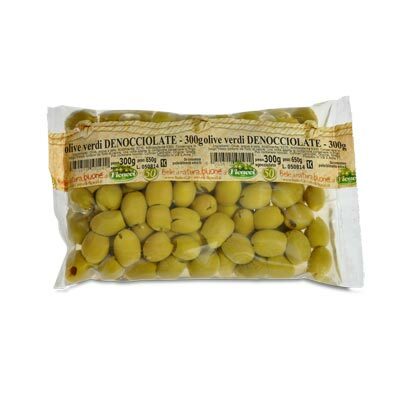 A guaranteed ingredient for cocktails, pizza’s, salad dressings and main courses, the stone absence makes this kind of olive ideal for several purposes. 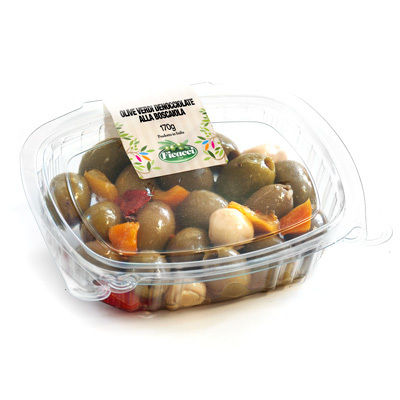 The process of pitting allows the inner pulp to collect the aroma of the dressing, not uncommonly pitted olives are the most chosen to be marinated Stuffed olives are undoubtedly the most renowned pitted olives and the best known are the Ascolana stuffed olives. 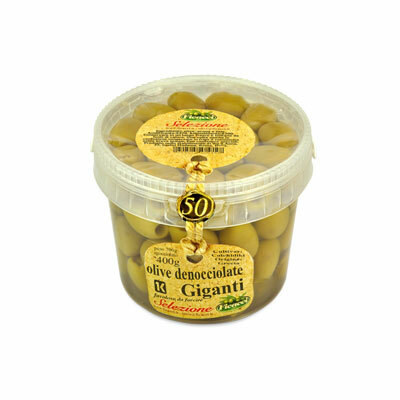 Only the biggest sized pitted green olives are used for the filling process. The first stage of pitting consists in selecting the olives, due to the fact that not all cultivars are worthy to be processed. An appropriate machinery removes the stone while maintaining the intactness of the fruit. Following, a second selection is carried out, the olives damaged during the pitting process are sidetracked to be used in the bread baking industry. Last but not least the stones are not trashed but increasingly used as fuel of pellet stoves. The selection includes olives in brine (salt and water, without the use of chemical additives) or in a delicate dressing of olive oil. As the name suggests, Take Away, is a line created to satisfy the bias of the most demanding consumer with a small and easy-to-carry package. 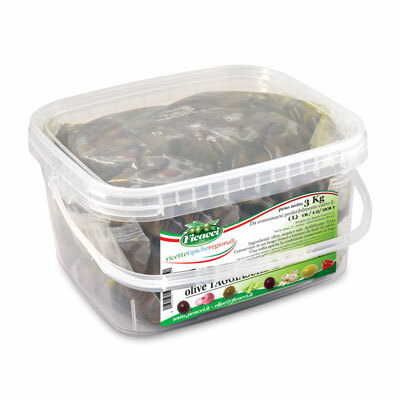 A complete range of the best italian olives, hand picked and packed in a 500 gr (14 oz) bucket, available in a natural brine of salt and water (without chemical additives). A special selection sound for the most demanding olive customer. Each expo-box contains 12 pcs. 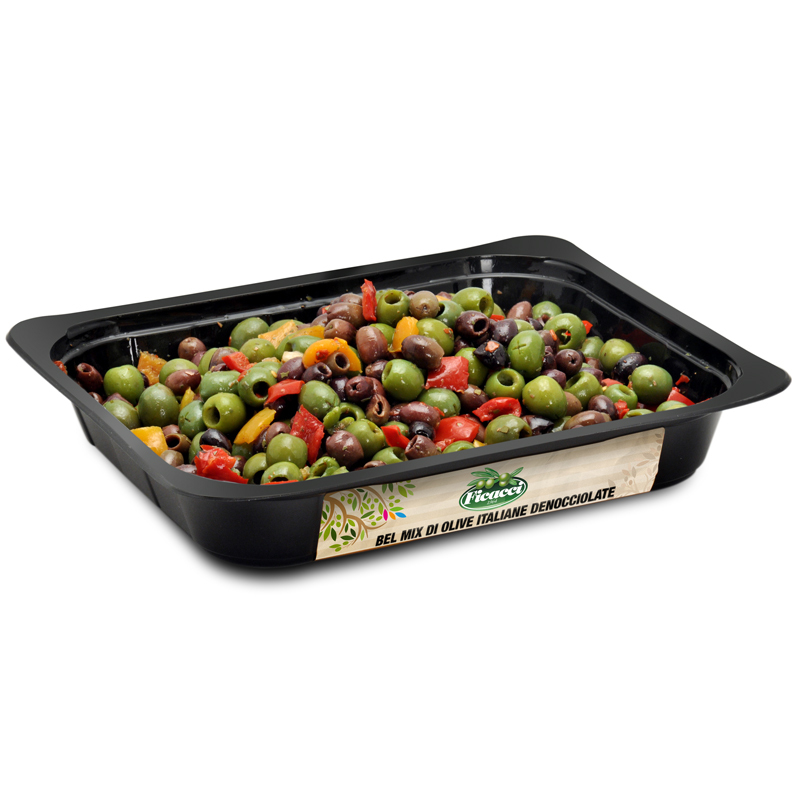 1.5 kilo (3.3lb) Large trays, a range conceived for Restaurants, Salad Bars and Supermarket’s deli counters or simply to be displayed on the top shelves of any grocery store. The olives are ready-to-serve, prepared according to traditional italian recipes and dressed with flavored spices and delicate olive oil. Happy Hour (bar line) buckets 2 kilo (70 oz).